For more than 60 years, Pumpman Norcal has turned water into wine with its agricultural irrigation systems. With complete design and installation capabilities, Pumpman Norcal can provide new systems, or modify and expand existing systems. Specializing in frost and flood protection, Pumpman Norcal also has the ability to design and install storage tanks and booster stations. Pumpman Norcal works on all systems found within wineries and vineyards, including the following: frost protection systems, well rehabilitation systems, submersible and line shaft turbine pumps, filtration and custom systems, turbine pumps and water pumps. Our experience goes beyond just installing pumps and rehabilitating wells – we understand the complexities involved in maintaining and running a successful vineyard, and we apply our knowledge to every single project in order to ensure the quality of our work and your success. When people think about vineyards, more often than not they aren’t thinking about what goes on behind the scenes, like water pumps, well systems, or water purifiers. 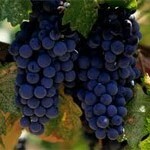 But in order to maintain successful vineyards, the maintenance can be intense, and all systems must be accounted for. 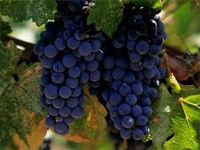 Northern California is known for its abundance of vineyards and wineries. You can put your trust in us knowing that over the years, we have made it our priority to continue education and study what makes successful vineyards continue to grow and flourish.